You may know that scarves are the hot accessory trend right now! And anyone who knows me, knows I’m a HUGE scarf lover! I own so many scarves I can’t keep up. I wear them all year round and with just about everything. 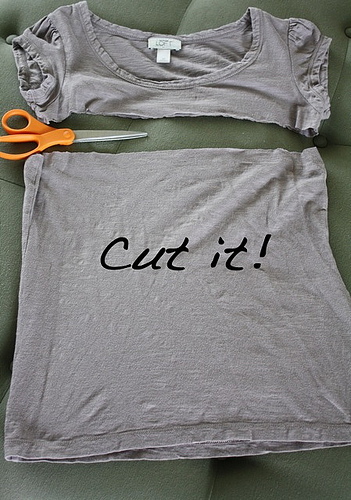 So to welcome in the Fall/Winter season I am posting a tutorial I found on the internet that is SO COOL! 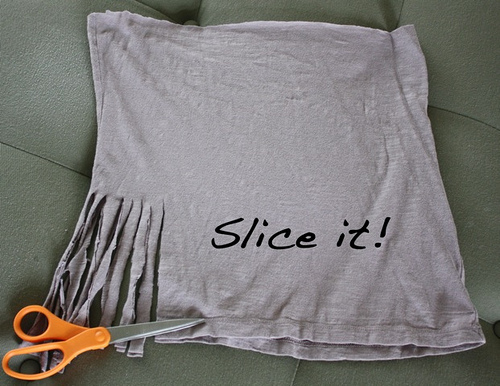 It’s an easy-peasy, do it yourself, no sew, infinity scarf project you can do in the comfort of your own home. So Without Further A Do Let’s Get Crafting! Go through your old T-shirts and find a daring print or color combo. For a cleaner look, choose a solid. 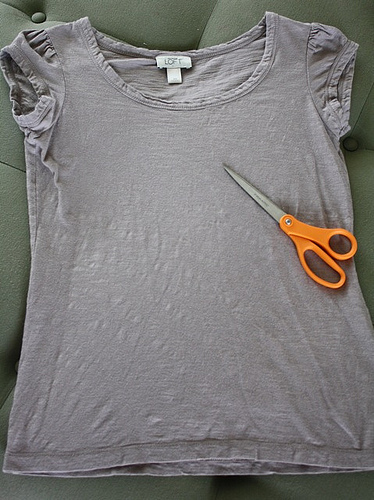 Cut horizontally across the shirt, just below the armholes, to create a rectangular tube. Working your way around the tube, make a series of vertical cuts that extend from the raw edge upward. The longer the cut, the longer the fringe will be. Tug down on each strand to elongate it. 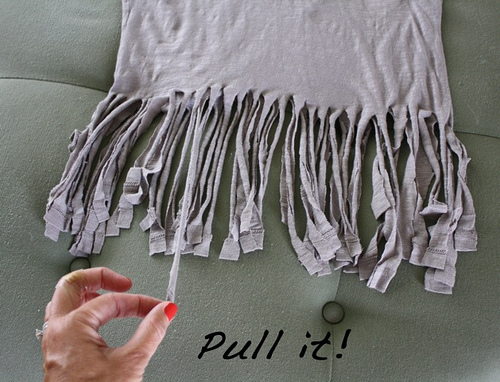 You can also have some additional fun with it by knotting some of the ends! Now all that’s left is to show it off with that perfect outfit. 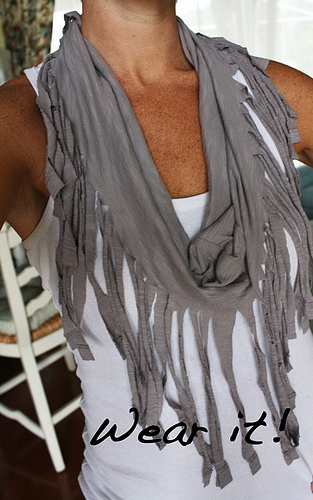 Posted on September 17, 2012, in All Things FABulous and tagged accessories, beauty, clothing, craft, DIY Monday, fashion, infinity scarf, style, t shirt, tutorials. Bookmark the permalink. 3 Comments. WOW ! that’s a great idea 🙂 Looks great as well. And who doesn’t have a T-shirt that hey don’t use anymore? It’s just trendy……and….. I’m in too for the new fashion.